Pioneering, immensely influential and often challenging, Armchair Theatre was ITV’s flagship drama anthology series. Bringing high-quality drama to the viewing public, the series easily demonstrated the network’s potential to rival the BBC’s drama output, with diverse and powerful plays showcasing some of Britain’s most gifted writers. 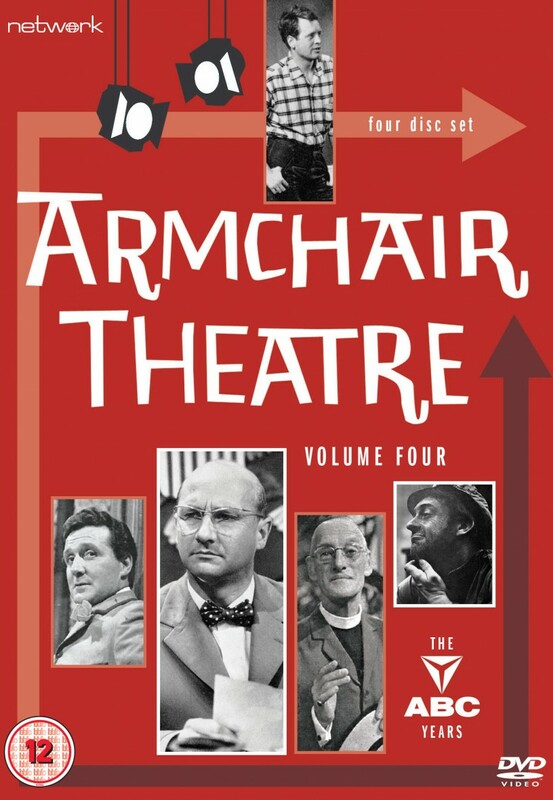 This set comprises twelve plays featuring performances by some of the era’s most celebrated and accomplished actors – including Susannah York, Colin Blakely, Ian Holm, Irene Handl, Donald Pleasence, Terry-Thomas, Patrick Macnee, Arthur Lowe and John Le Mesurier, among many others. This volume includes early plays by both Jack Rosenthal and David Perry, and a star-studded production of Oscar Wilde’s The Importance of Being Earnest. A convicted murderer escapes from prison and flees to a Caribbean island, where he sets himself up as ‘Emperor’ to the natives. When Jackie Smurch - the Greatest Man in the World - dies, the world is wracked with grief. ITV joins up with American television to cover the funeral. Young Maurice Liebig takes the first steps towards maturity when he is called to the bedside of his uncle’s girlfriend after her suicide attempt. Lord Arthur Savile postpones his wedding in order to commit a murder. Which of his many relatives is to have the honour of being the victim? Everything seems so normal in the quiet suburban street. Who can guess that the feud between the house-proud Tremblows and the Chards next door will lead to terror? Pat Greevey returns from sea, and searches Liverpool for people who may help him prove that his brother was unjustly hanged. The ponderings of two opinionated men are disturbed by a stranger. Do people love enough? Or understand enough? Mandy Hope, traumatised by the recent suicide of her best friend, faces the challenge of living in a world full of people who do not care enough – until she meets Geoffrey Mather.